Tatiana Calderon feels a different driver ever since joining Sauber and the tests instilled the confidence needed to showcase her capabilities to compete in F1. 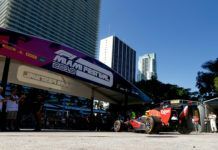 Calderon has had a long journey thus far in her racing career and 2018 ended up being a monumental year for the 25-year-old when she drove as many as four different single-seater race cars, including the F1 machine. 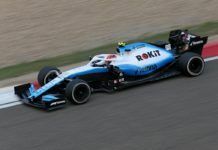 Calderon continued her GP3 Series run with Jenzer Motorsport this time and found the rhythm to score 11 points where she managed the races well especially towards the end of the season – her only trouble was getting the utmost in qualifying. Apart from the proper racing season, as mentioned, she tested the 2018 Sauber car when she made her F1 debut on a filming day in Mexico. 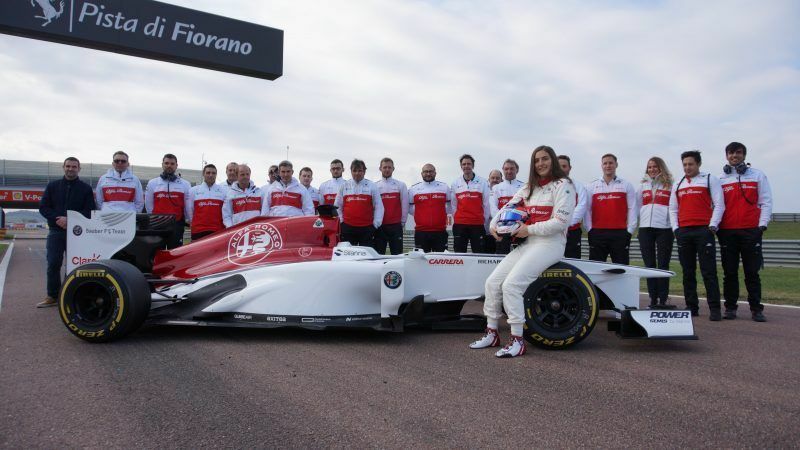 A proper test run was undertaken at Fiorano – Ferrari’s home ground – in the 2013 Sauber car. 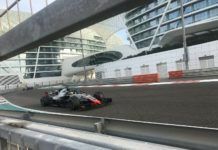 Calderon also tested the FIA Formula 2 Championship car in Abu Dhabi, where she could compete in 2019. 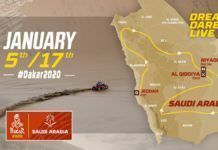 To end the year, she tested the FIA Formula E Championship’s Gen2 car in Saudi Arabia in December and got a second chance last weekend in Marrakesh. In an exclusive interview with Darshan Chokhani, Calderon discussed the improvements she made in GP3, the time spent with Sauber and talks how the two F1 tests went – which has instilled the confidence that she can make it into the pinnacle. Q) First things first, how would you sum up your GP3 season where you ended up doing much better than your previous two years? Tatiana Calderon: “I think at the end we scored more points in 2018 than in the last two which was good. I was expecting a little bit more from the beginning of the season because I think we were quite strong in testing, but then again that is the winter where the tyres behave differently and we tested with just one compound. “Overall, I am happy to finish strong and to finish in the points in the last couple of rounds and I think we showed some good speed and good overtaking, so it’s nice to finish the year like this. In terms of gains, everything helps like also being with Alfa Romeo Sauber. Q) Would you rate this as your best season in single-seater racing thus far? Q) Did knowing the Pirelli tyres helped as well because it is crucial these days even at the junior level? TC: Yeah, of course that experience from the previous years as well and you sort of now understand, how much you can push at the beginning and how much you need to reserve for the end of the race. “What we have been struggling mostly is making the tyres switch on for one lap and I think in qualifying also, we suffered a bit and we never really got to that window where you are sure to operate and know this tyre is better. “That’s the homework for me for 2019. It is just a shame that we couldn’t really make it work but I feel like ready to jump in Formula 2 where you also need to understand the tyres quite well I can do a good job in managing them. Q) Moving on to Sauber, how has been the two years with them? TC: I think you drive very differently, a GP3 car and a F1 car but to understand everything in F1, you have so many sensors, so much information that in some ways, it helps the driver a lot to know it’s going on and then you try to look for that in GP3. “I think it’s been eye-opening and I think it’s been an amazing experience to work with Sauber and to see the step up they did from last year to this year and even from the beginning of the year. “To actually then drive the car to understand a little bit more what the things mean, it’s been an incredible experience and now that I have jumped one of those cars, you sort of want to be there more often and I hope I get the chance to do it. Q) Even being a filming day, how much you could you soak in the 2018 car? Did you it cautiously and where there any lap time recorded? TC: Even it was a filming day and I had only 23 laps on the actual car, it was still quite an incredible day. The amount of torque the car has got, the braking, the stability in the high speed corners, so I think it was a very good experience for me. “I did a decent job I feel, so it definitely motivated me to keep going because I think we can do the job. I never had a fear of crashing anything. Of course, I didn’t push 100 percent because it was not the objective of the test. “It was also that I was just following the orders of what Sauber wanted me to do and where they wanted to take a little bit more care. The test was not my full potential but it was not the purpose anyways. Q) How did the second test come about and what were your impressions then to drive the 2013 car with V8 engine? TC: “I knew I was going to jump in a Formula 1 car in 2018 but I didn’t know when or in which car and how everything was going to turn out. After Mexico they told that we are going to do two days in Fiorano. 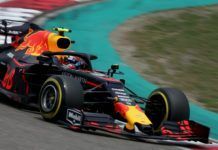 “You can’t choose a better place to run really – Ferrari’s test track – the atmosphere, the town, everything was just incredible with the two days and lots of sets of tyres and a proper test to really be able to push the limits and show my full potential was really good. “It was quite different to the 2018 car, of course, and you just fall in love with the sound of the engine, it’s incredible and it is pure. This being a proper high speed run, the grip was quite high, more then you ever expect. “The days were really positive for my development as well. It was the first time that the team actually had my data, had me in the car, listening to what I had to say, so in that sense, I think it also helps to understand each other a bit more. Q) Frederic Vasseur spoke about you passing the endurance test but how did you feel after the two days? TC: I have been preparing for the day for quite a long time, even last year if there was a chance, so I felt really fine. Of course, the first time you drive a car you will be a little bit sore, like the neck suffers a bit more than in GP3. Q) Where does it puts you now in your F1 dream? Q) While you wait for your deal with Sauber to get sorted, how was working with drivers like Charles Leclerc, Marcus Ericsson, Antonio Giovinazzi and also now Kimi Raikkonen? TC: “I have been very fortunate to be able to share with big talents like they are. I have raced Charles and I have been teammates with Antonio. Kimi, I used to watch when he was racing against Montoya or in the same team and then Marcus who also had lots of experience in GP2 and lower categories. “I think listening to the debriefs has been really helpful and to know what it is like to be a F1 driver and I hope that one day I can be there and talking about it, but it has been a good experience to see the different characters and how they explain things about the car. Q) Finally, whats your view on the W Series? TC: “I can only speak from my experience, I never felt like I couldn’t beat the guys or that I needed something different, so in that sense, I think the goal of this championship is to bring young girls who are starting in formula cars.